A 70-year-old US military veteran in Texas has been fired from the Home Depot hardware store where he worked, for confronting shoplifters. 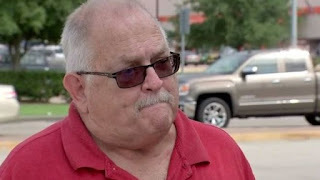 Jim Tinney tells KTRK-TV that he was trying to do the right thing when he intervened as thieves stole valuables. "In the Army, they train you to do things like that", he said, describing how he thrust an extension pole at the shoplifters' feet as they fled. A Home Depot spokesman says his actions were "a very serious safety risk". The incident happened about two weeks ago, when Mr Tinney says he saw three men flee the store as they carried expensive tools. Despite his attempts, the men got away, and Mr Tinney was fired from his job after he acknowledged that he violated the company's policy which only permits trained security personnel to confront shoplifters. "I think they could have written me up, reprimanded me. But terminate me? That's pretty strong," Mr Tinney told KTRK-TV. "I'm 70 years old. I need to work. I needed that job. I enjoyed working with customers figuring out what they wanted to do. It's fun." 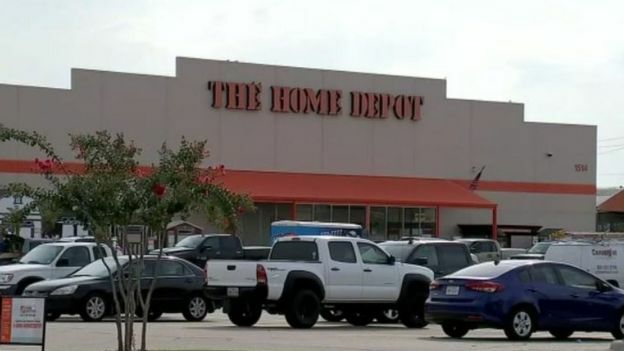 Home Depot spokesman Stephen Holmes said the policy is in place for safety reasons. "We've had deaths and serious injury over the years, and no amount of merchandise is more important than the safety of our associates and customers," he said in a statement to local media.